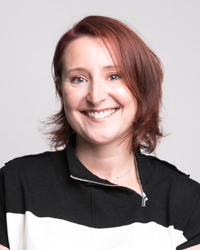 Samantha graduated with distinction from Kings College London in 1998 and spent the following year working within the Maxillofacial Department. She developed her surgical skills and interest in surgical dentistry over the year. She has since worked for over seven years in family orientated practices in London and Bedfordshire with a special interest in de-sensitising nervous patients and surgical dentistry. During this time she gained experience with sedation and dental implants which led her to undertake additional training in implant dentistry. She gained a Masters with distinction at the Eastman Dental Hospital treating patients ranging from simple one-tooth replacement to full mouth implant reconstruction. Sam is a member of The Royal College of Surgeons in the Faculty of Dental Surgery and a member of the Association of Dental Implantologists. She also examines for the General Dental Council International Qualifying Examinations to ensure overseas dentists meet the requirements to practice in this country. In her spare time she enjoys going to the gym, cooking and eating out. She loves to travel preferring to journey off the tourist route for a more real experience!